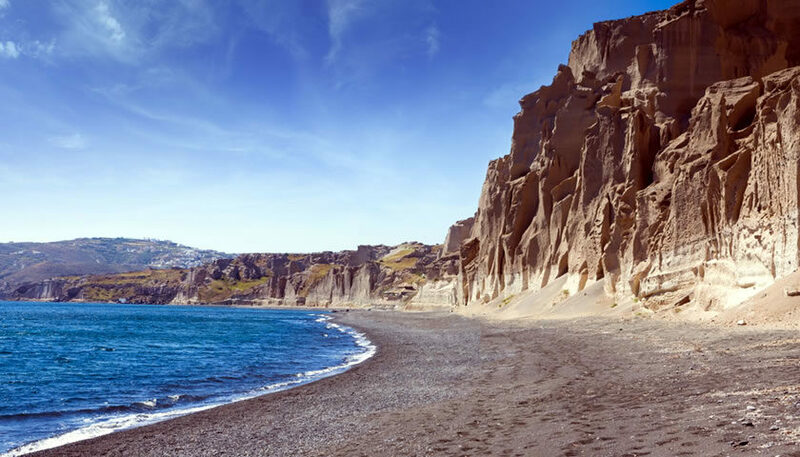 Vlychada is an impressive beach with black sand, surrounded by white cliffs formed by the wind in various shapes, giving the impression that you escaped to the moon! 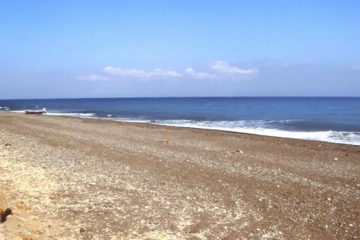 It is a quiet beach E.U. Blue Flag awarded (2017), with sunbeds, umbrellas and a small canteen at its beginning, which is getting quieter as you continue walking. The water is crystal clear and the sea is deep even a few steps from the beach. A unique beach with moon like cliff formations and one of our favorites, not to be missed! There is also a small marine for private yachts in case you want to come from the sea. In the area you can find some restaurants to enjoy your lunch or dinner. A very nice place to watch the sunset drinking a cocktail is the Theros Wave Bar which is located on the cliffs overlooking the sea (follow the signs on the way to Vlychada) at the nearby Eros Beach. 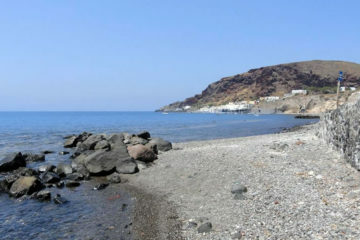 Vlychada is on the south part of the island. 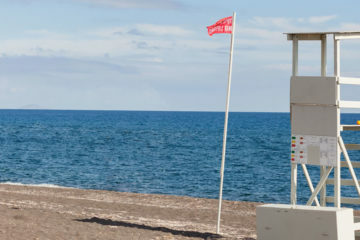 Access is easy by car, from Fira take the road to Akrotiri and follow the signs to Vlychada. There is a free parking area very close to the beach.